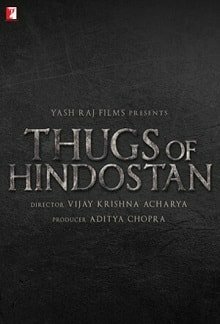 The film's plot is based on Philip Meadows Taylor's 1839 novel Confessions of a Thug, about a thug (also known as a thuggee) called Azad, whose gang of thugs posed a serious challenge to the British Empire in India during the early 19th century. The film tells a fictional story set between 1790 and 1805. Amitabh Bachchan is busy with shooting for his next film Thugs Of Hindostan in 'Thailand'.